Children are not always the best at taking care of themselves. How many times have you had to do the “breath test” after one of them said they had brushed their teeth? Sure, maybe they got the brush wet, and maybe even swept it around the mouth, but you can always tell when they didn’t do a good job. 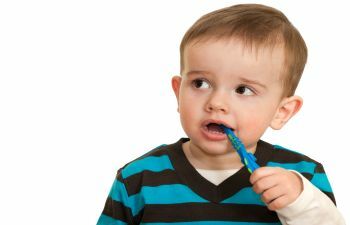 Unfortunately, kids get their permanent teeth before they understand the importance of taking care of them but after the age that you are able to brush their teeth for them. Alora Pediatric Dentistry in Napa can help. Your six month checkups are vital whether you’re eight or eighty. It gives you the opportunity to get any build up removed and lets us identify any areas that could be potential problems. For children, we provide additional preventive care like fluoride treatments to help protect the teeth even more. We also keep an eye on their mouth and jaw development in case orthodontic intervention is needed to make room for the adult teeth. Once permanent molars come into the picture, you know you have to step up your child’s tooth brushing game. Here once again, Alora Pediatric Dentistry is ready to help. We offer a sealing treatment for your child’s 6- and 12-year molars. Applied to the biting surface, the sealant protects the uneven areas of the tooth from decay. Particles of food and the bacteria that feed on them will not be able to hide in the jagged grooves and pits of a sealed tooth. Contact Alora Pediatric Dentistry in Napa to schedule your children’s next appointment. We’ll help protect their smiles for life!